The NorthCap University, located in NCR Delhi is one of the competent universities in engineering, management, law and sciences. It is devoted towards exploring more areas of Industrial relevance. The institute boasts of its value based inter-disciplinary and industry ready curriculum, dedicated staff, quality faculty resource, and a world class infrastructure. The NorthCap University admission exam will be held in June 2017. Application form for admission will available from first week of May 2017. The NorthCap University is one of the major Engineering Colleges in India and is preferred for research. The University comprises of four schools at the Undergraduate, Postgraduate and PHD level. The University also includes areas for various sports such as football, basketball, cricket, tennis, table tennis, etc. There is a multipurpose sports arena, which also has the facility of flood lights to ensure smooth activities in dark. Students at The NorthCap University can be a part of various student activities. A monthly newsletter and a bi-annual journal by the name of VectorTech are the sources of Campus news. It was ranked as the best private University in Delhi/NCR and Haryana Region and secured an overall rank of 82 in NIRF University Ranking by MHRD, Government of India. Candidates who wish to apply for admission in B.Tech Courses in NCU should first check their minimum eligibility criteria carefully. The NorthCap University admission process will be starting in June 2017. Application form for exam will available from first week of May 2017. They will have to qualify JEE Main 2017. Once the registrations are open on the official website of NCU, candidates can fill the online application form and make the payment of Rs 1000. Candidates will have to upload the self-attested copy of the documents mentioned in the Application form. Once the form is submitted online, the candidate will receive a confirmation mail. Candidates can also request an application form via post, fill all the required details and submit along with the bank demand draft of Rs. 1000 and the required documents. Documents required will be class 10th Mars sheet, class 12th Mark sheet and JEE Main 2017 Score Card. In the Application Form, candidates will have to fill their branch preferences as well. They are advised to do the same carefully. Once the last date to submit the Application form is over, a merit list will be prepared based on the performance of the candidate in JEE Main 2017 and Class 12th. Candidates who will be selected will have to submit the admission fees before the specified last date. Failing this, his/her admission will be withdrawn. Students will be automatically upgraded to their higher preferences in the subsequent merit lists. If they want to opt out of the Upgradation procedure, they will have to state the same to NCU. Final Round will be physical counselling for the vacant and dropped out seats, for which the candidates will have to submit the application form and fees again. Most of NCU’s Policies are devoted toward the enhancement of the student into an Industry ready professionals. 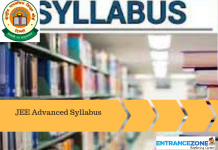 It has strict rules for class attendance, fulfilment of academic projects, and ethical conduct in the college, use of college property, etc. Any misconduct will be heavily penalised. With its approach towards the quality learning and excellence, NCU has set many benchmarks which prove their determination to be amongst the best colleges in the country. NCU was ranked the best private University in NCR/ Delhi Region and an overall rank of 82 in NIRF Ranking by MHRD, Government of India. It secured 8th rank in AAA category in March 2016. It was ranked 8th in the country for Research Productivity among category ‘A’ Private Universities. In Higher Education Review – April 2015, they were awarded the best Emerging University in the country. The NorthCap University is established under Haryana Private University Act No.25 of 2009. NCU is recognised by the University Grants Commission, Govt. 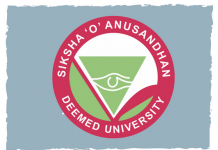 Of India and is empowered to grant degrees under section 22 of the Act. It is accredited by the Accreditation Services for International Colleges, UK, in the category of ‘Premier’ Universities. It is also recognised by the Bar Council of India, is a member of International Student Exchange Program, and Association of Commonwealth University. NorthCap University NCU offers various courses In Engineering and Technology. This can be seen in the table below. Branch · Candidates should have qualified 10+2 (English Medium) by CBSE or equivalent board with an overall minimum aggregate of 60%. 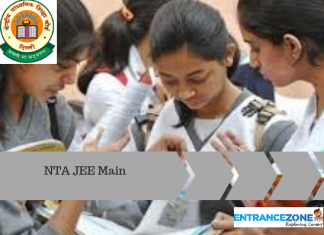 · 60% weightage will be given to JEE Main 2017 and 40% weightage will be given to aggregate marks scored in English, Math, Physics and Chemistry in the qualifying examination. · 15% seats will be reserved for NRI/ International students. Vacant seats in this category will be transferred to General Category. M.Tech (2 Years) · Applicant should have obtained a minimum aggregate of 60% in the qualifying examination. · He should have a minimum CGPA of 6 on a scale of 10 in B.E. / B.Tech or equivalent examination. · The minimum number of seats in any specialisation cannot be less than 10. · Full-time M.Tech will be of 2 years duration, whereas part-time M.Tech will be for a duration of 3 years covering 6 semesters. o 75% weightage of marks at Undergraduate level. o 10% weightage to the GATE score. o 15% weightage to the personal interview. For details regarding admission and anything else, candidates can visit the campus or contact them. 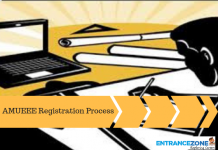 Aspirants can see various other details like JEE Main 2017 on EntranceZone Stay tuned! What will be the tentative date for the exam?